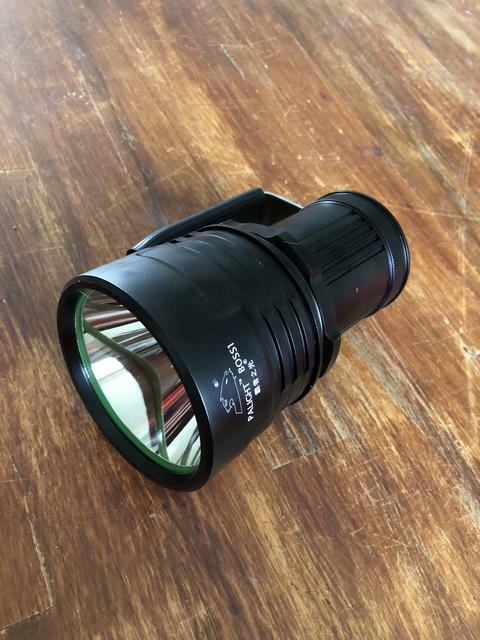 Texas_Ace MT09R Modding thread, 20k+ lumens, 80CRI, can start fires? Yes please. I have an interesting question: what do the PWM levels for moonlight, 1-7, do? I can’t visually see a difference between all levels of moonlight after I configure it. It works on my Q8, but not on the MT09R. Would love to see some input of it. The Q8 uses a 7135 where this driver uses an FET. The 7135 is not really designed for how we use it but the FET is. So thus the difference will be very minor between the different moon modes. They are different but only 1/255 difference per step. Ooooh. Thank you. Didn’t understand why it didn’t change. Thanks for the response. So, Level 1 is the lowest brightness possible, and Level 7 is the highest moonlight brightness possible, right? This driver also improve MCPCB heat sinking right? Correct, 1 is also the default. I am not sure what you mean? The MCPCB is what the LED’s are mounted on, they are completely separate from the driver? The driver itself does maximize the heat sinking of the components on it, although there is not a lot of heat it has to deal with in comparison to the 7135’s. I still have to take an official inventory on Monday but I do still have 2 items only 1 of each that I will let go of at more than half off. In fact they are basically my cost plus shipping. And 1 MT09R 35 high white (really silver) which already had the new TA driver installed and has calculated out to be a 1000 meter thrower. 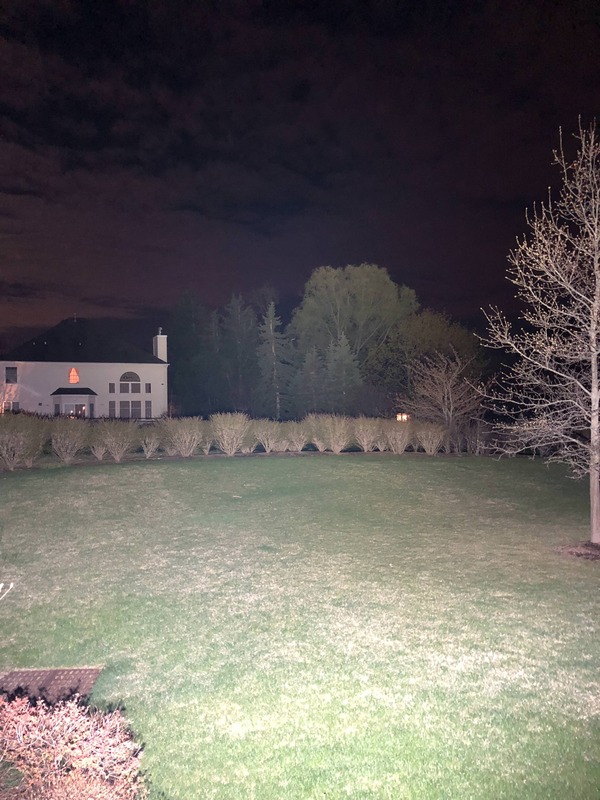 Using this exact light which is the first one I tested TA's new driver in I found a water tower 822 yards away and it was no problem at all. These are excellent throwers. Unless you happen to want an emitter upgrade this light needs nothing and is ready to ship directly to the customer with the new driver installed of course Narsil that you all know about. I Think I have 2 more of these I just have to locate them and order a driver from TA for them. That will be next week sometime when I do a quarterly inventory. Here are 2 pics to compare them. The MT09R is doing super good with stock emitters and throws very well. But MT03 just blast everything right in front of me much better. Good pics! Are they taken at the same time? 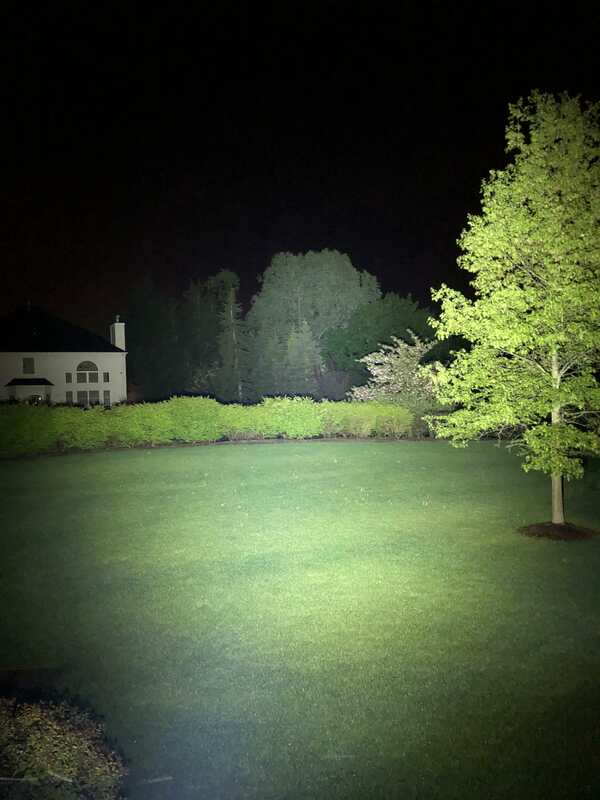 The tree in the forefront doesn’t have leaves in the MT03 pic. You should take two pics at the same time so we can compare colors, air haze, and the same foliage. You have two super blasters now! Nice comparison between 5700k and stock led ( 6500k ? ).. so it look like mt03 have floody beam..
Yea I took them at the different day. And yes the MT03 is a super good flood light. MT03 is 5700k and MT09R is stock NW emitter. The MT09R is definitely more throwy than MT03. However if you use DC Fix, it increases the spill tremendously but still maintains good throw. Can it handle the power level of the MT09R though? At 96% optical efficiency, it is going to be taking(0,04*19 000 lumens), it will be taking away 760 lumens, which isn’t insignificant. Can it handle the heat? Or am I wrong? Also, guys, what kind of mods are you doing yourself? The reason I didn’t want any spring bypasses is that I’m going to replace the stock springs with phosphor bronze springs, as an example. Any other soft mods that I could do to improve the light itself? You are correct. His mt03 have an upgraded led, so 5700k. I normally always take Sunday off but I knew I had one more 35 high and all I needed to do was install TA's driver so I now have only 1 35 high left. I am about to process the order for the white one and I will add this black one to the stores inventory when I do and at the same price. I don’t have any issues with my DC-Fix handling the heat and I love to go repeated turbo. I have a palight Boss1 with the xpl dedome.. it have ring around the corona and do you think dc fix will eliminate? DC-Fix is not recommended for dedicated throwers since you want max concentrated hotspot, whereas DC-Fix will diffuse the beam. With that said, however, I think I remember reading someone saying you can cut a donut ring with the DC-FIX so it doesn’t affect the hotspot. I have no idea whether that works. Ok. Just curious.. having a ring is good, atleast in this light.. it got a highest intensity.. anyhow.. Sorry to ask.. do you guys mop? I am looking to buy a good mop that works on wood floor and tile. 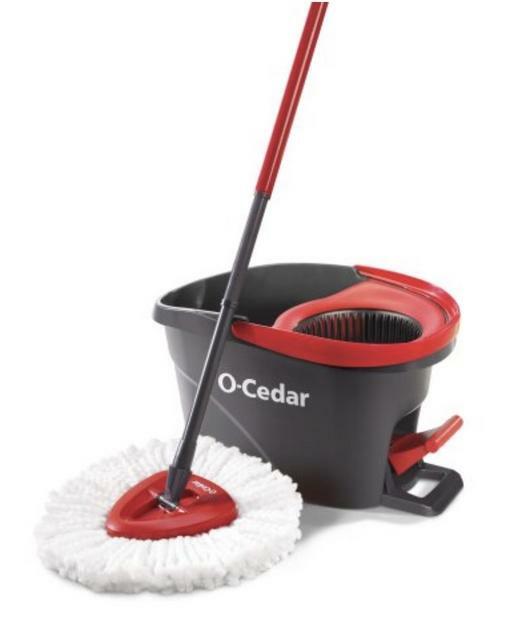 I found some o cedar spin mop on youtube.. look like its a good mop.. what do you guys use? Wife has that... says it does a great job. Wife has that… says it does a great job. Nice.. i ordered two from amazon last night.. one for me and one for my parents.. I quite enjoy the various off-topic departures on BLF. If this gets enough action, perhaps it will warrant a What did you mop today? thread! Ah, finally crisp clear borders in the table of the manual for the Haikelite. LOL, I know the feeling. Glad you got it figured out! Ok, I think we just figured out the issue and the good news is it is semi-easily correctable. The 4” only has an adapter that steps down to 2”, I need another adapter to step down to 1.5”. This adapter was the issue. After modifying it so it does not shroud the meter as much the readings are right in line with what I expected them to be at the start. I never would of guessed that little bit would make such a large difference. So now to start building the 4” and hopefully finish those today and start shipping tomorrow. Wrong thread? Someone’s been working on spheres a little too long. I just dropped the prices on my website a ton.. you may want to look before they are gone. I will need all the extra space when the SC26 units arrive so basically I am selling at cost. Better hurry if there is one you want. Yeah I just noticed this was in the wrong thread. You have no idea how happy I will be to have these spheres finished lol. I am almost finished with the spheres, finally, and will be catching up on flashlight mods as soon as that is finished. I have several lights here and several more coming. If everyone that has a flashlight they want me to mod could get in contact with me so we can finalize the order details that would be great. I will be placing what could be my last LED order for awhile tomorrow so I need to get all the components ordered. I will also be discounting any extra LED’s I have left over here so I am not stuck with a bunch of LED’s I can’t use. First I need to see what the orders are for so I see what is left over.